Children's Mental Health, Student & Alumni Stories, Where Do Southwestern College Grads Work? Beginning while I was still a student, and since graduating from Southwestern College in 1995, I have been blessed with many wonderful work opportunities in both Santa Fe and Albuquerque, NM. 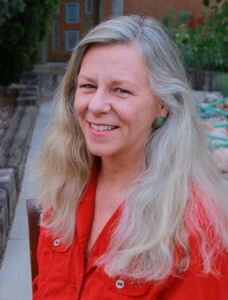 In addition to maintaining a thriving part-time private practice, I have held the following positions: Family Therapist with New Vistas Early Childhood Program; Family Therapist at UNM Children’s Hospital; Child & Family Therapist at Su Vida Behavioral Health (now SFCGC PMS); Director of the PreK and Family Program with the Children’s Project at United Way of Santa Fe County; and Bilingual Elementary School Counselor with the Santa Fe Public Schools. The Master’s in Counseling degree has allowed me to pursue a wide variety of positions in my field. Today I teach the following courses at Southwestern College: Theory and Practice of Family Counseling; Human Development; and I am the Director of the Children’s Mental Health Certificate program at SWC for which I teach Attachment, The Heart of Well-being, and Ethical Issues in Working with Children & Teens. I also love helping SWC students to identify their unique areas of passion within the field of counseling and to find work opportunities in which they can thrive. Southwestern College has grown in wonderful ways since I began there in 1990. It is as grounded as it expansive, as supportive as it is challenging, and as dynamic as it is enduring. Southwestern College is a jewel among graduate schools, and a vibrant hub in a rapidly evolving field.